The Diversity Pledge?is a public commitment by independent production companies, in-house producers and other suppliers to take measurable steps to improve diversity in the?TV?industry. The CDN launched the industry-wide Diversity Pledge?with Pact in 2009. The pledge is split into four sections covering different aspects of diversity with practical suggestions on how to improve representation. The approach is flexible ? it?s up to individual companies to set their own agenda. Download?a list of the companies signed up to the?CDN Diversity Pledge?here. What do you sign up to? Taking part in, or running, events that promote diversity. ?We are a small company with a small team but we do what we can [during recruitment] by posting jobs online and interviewing a good number of applicants.? ?We are a small outfit, however we are encouraging young freelancers working for us to take senior roles.? ?Our main challenge was our involvement in the Paralympics.? Working on these productions enabled us to up our game with regards to producing content featuring disabled people on and off screen. 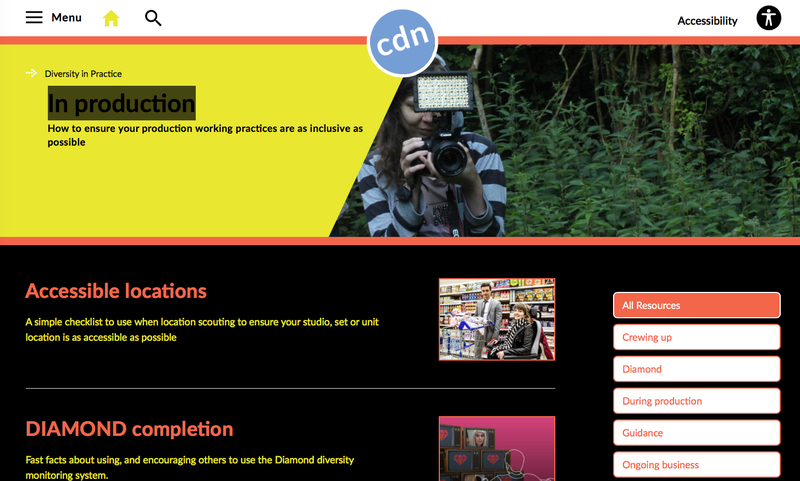 [We] are confident that we have made progress in ensuring that we have recruited staff and cast/crews from diverse backgrounds in as much of our content and our productions as possible. ?